Isaies Santamaria Perez Born in France, Isaies studied dance in Paris at Latin and tropical dance School and at Rick Odums School of Ballet Jazz. During his free time, he took classes with his mentor Dominique Lesdema and he also studied break dance and develop his own moves in different session. Isaies worked with Latin jazz company as Isis Figaro Team and french choreographers such as Alexandra Lemoine et Tatiana Seguin. Also, he has been part of "You Can Dance", the French television version of “So You think you can dance”. Recently, Isaies moved to New York to broaden his horizon and vision to study at Peridance Capezio Center. 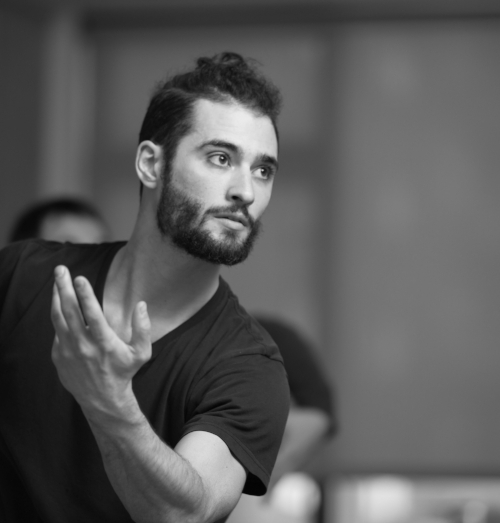 He is now working with Dash Ensemble ( Gregory Dolbashian), Manuel Vignoulle, Sonya Tayeh, and Zvi Dance.